Postmark is for developers and applications who need a reliable way to process transactional email. If you need to send bulk marketing emails, Postmark isn't the right fit for your needs. 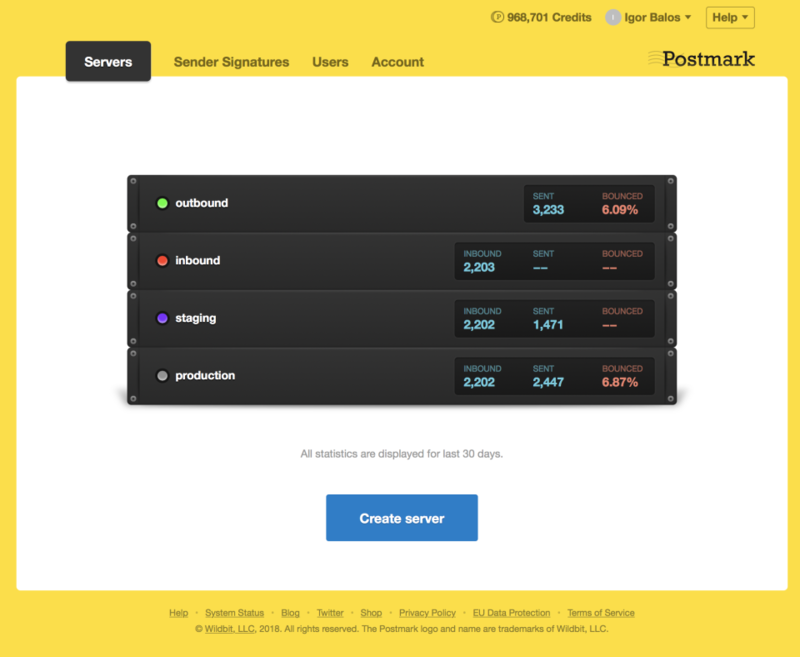 Pros: Before I started using Postmark, I also tried SendGrid and Mandrill. When I came across Postmark, I just stuck with them because it is SO easy to use. I feel like the other companies complicates the process a bit so it can deter users. I manage hundreds of WordPress sites and I set up Postmark for most of them. This gives me a peace of mind that emails are being sent from the sites, which is very important. I've never had a problem with Postmark. I highly recommend it to anyone who is looking to improve email deliverability, especially WordPress sites! Cons: There was a problem with one site in my account that was sending a lot of spam, and instead of giving a warning, they suspended my account right away. I contacted them and they contacted me the next day, but if I had major accounts depending on Postmark, this would have been a serious problem. Cons: Some of the features come in half baked. For example, they built click tracking, but does not appear to have individual link tracking. So if your emails have 4 links in there (unsubscribe, view profile, receipt, etc) it won't tell you which one they clicked on. Perhaps that's a tool we need to program separately. 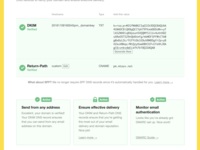 Overall: An efficient tool to send emails that offers ways to look up when emails are sent, if they are opened, how and where they are opened (device type, city, etc). Customers tell us they didn't receive a confirmation and we can see that they did, when and where. 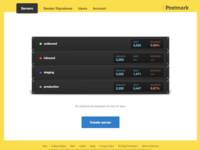 Pros: We've been using Postmark for years for our transactional email, and we've always found it to be reliable, well built, and a great API to interact with. Our interactions with their customer support have also been great you can tell they're a small, well-run business focusing on doing what they do very well. The pricing is great, as well. Cons: I'm really reaching to try to come up with anything negative to say here; Postmark is focused on doing a few things, and doing them quite well. We'd love a few very specific features that don't exist yet, but beyond that, I can't think of anything to complain about. 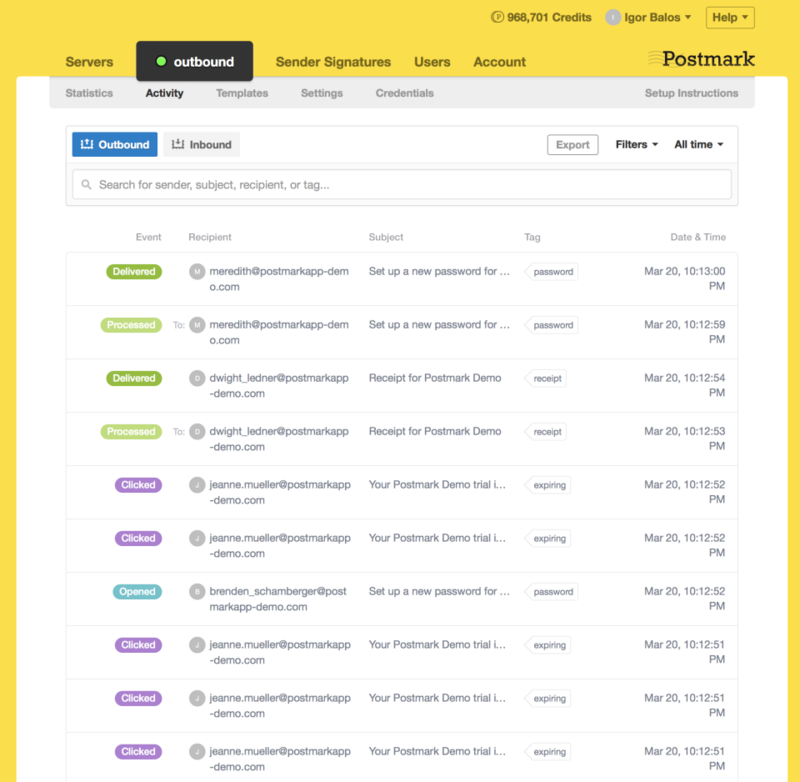 Overall: Postmark lets us reliably send transactional email with little fuss, and works well every time. Pros: I love the developer-centric route that this service takes, it's so easy for anyone with dev skills to set up Postmark and have it running in little to no time. 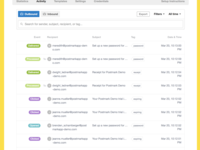 Their dashboard is one of the best I've used, providing a comprehensive and clear snapshot of the state of your emails. They put great thought and a lot of effort into making sure that your emails get delivered successfully. 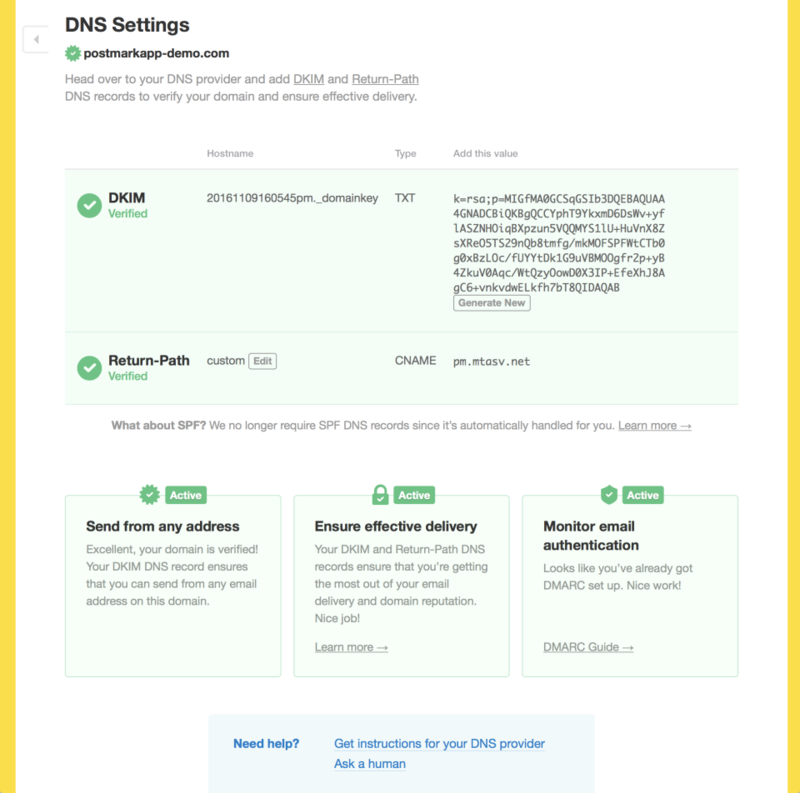 Cons: If this is the first time for you setting up a transactional email service, it might take some time to get acquainted with some of the underlying concepts that Postmark uses (e.g. servers or sender signatures) but thy shouldn't discourage you from using it, you will be rewarded with a great and reliable service! Pros: Wonderful support staff and great introduction offerings to new users. The spam notification is easy and doesn't cause me to freak out when a few dozen emails bounce. The classification of emails makes it clear where problems lie and has helped us to debug numerous issues and identify what steps we need to take to ensure our emails are able to serve their purpose. 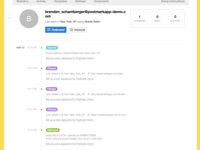 Cons: Some improved querying ability on contents of emails sent and recipients. The ability to apply more tags would be nice as well. Overall: We received a well priced emailing system that allows for analytics above and beyond other offerings or self-implemented systems. Postmark's web API and libraries are easy to use and fit organically into our systems. Pros: Once you are configured and setup it just works, period. Postmark feels like it has the reliability of the electricity in your home. It's just there working for you all the time 24/7. Cons: To be honest there are no cons I can think of. Our developer set it up, and all I see is the monthly bill and aside from that everything works exactly as it should. Overall: Our transactional emails all go through this system. Works like a dream. Pros: Postmark = Quality all the way. 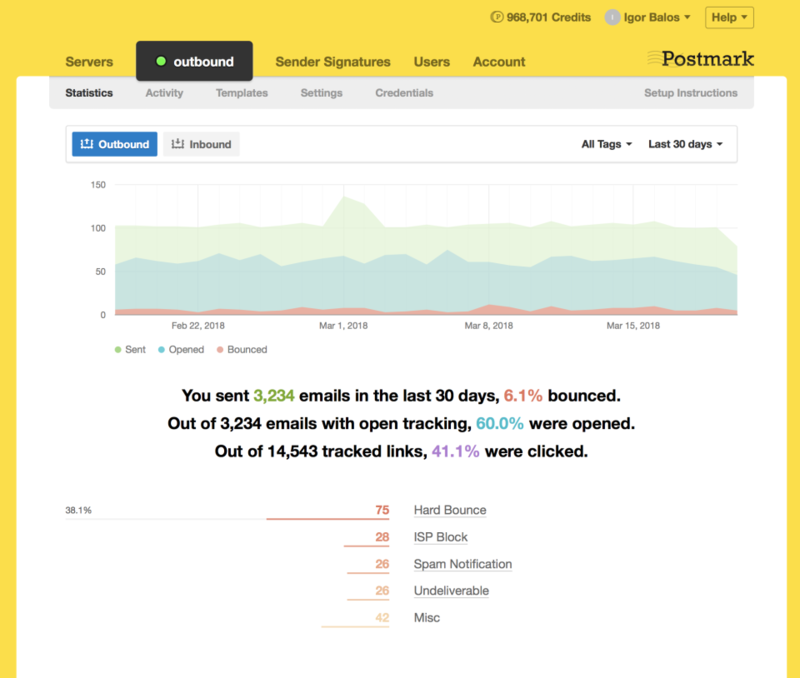 Email delivery is blazingly fast and the dashboard makes it very easy to trace activity and debug if needed. Cons: At first, we tried other services which gave us a little more credits per $. But when we noticed that one other service was occasionally on the spam list, we knew it's much more important that's it's reliable. So we switched asap to Postmarkapp. 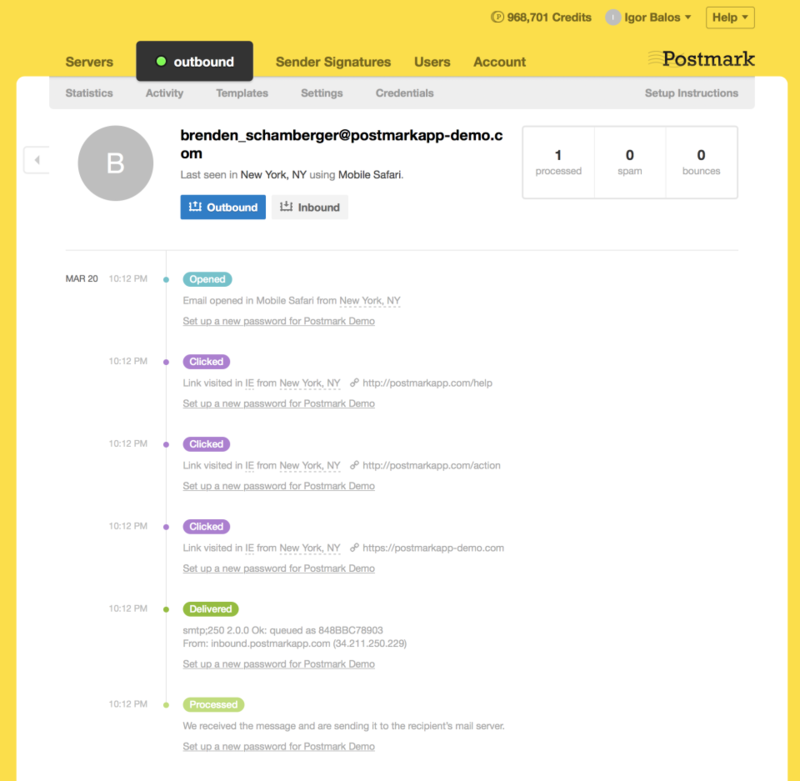 Pros: Postmark makes it really easy to track our incoming and outgoing emails. We send a lot of automated emails through our own internal software, so Postmark has been integral to our quality assurance procedures. It helps us troubleshoot with clients and creates a sense of security, when you're concerned that maybe your email didn't send. Cons: The search feature was not very intuitive, but with a little practice, the software is super easy to use! Pros: What I like most about this software is the ease of use, options are straightforward and easy to understand. The search tool is powerful and quick as well. Cons: Sometimes the information can be somewhat hidden, reasoning as to bounces or email failure. Some categorization would be helpful as well. 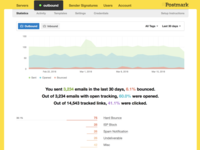 Overall: Email management for outgoing emails. Pros: Pricing is great, is so easy to get started with their API or SMTP. Great metrics on emails that are being sent as well. It does what it does without fuss or overly complicated "extra" features. Cons: Their templating system could be better as it's very basic. Being able to set a base template (Header and footer) isn't possible meaning any major changes can be time consuming. Pros: I keep the app on my phone and when I have a free minute I can check on my inventory and offers sales to my likers. It's an easy way to make quick cash. When you make a sale, Poshmark delivers you a prepaid mailing label so you can just fix it to a flat rate box at the post office and it's on it's way! I feel like I have a small business, communicating with buyers, wrapping my products and shipping them out. A great way to clean out my closest and make cash on stuff lying around. Cons: The cut the company takes from the sale is larger than preferred. But it's worth it to get your stuff on a platform and in a marketplace where people are looking for any type of brand or named product. Pros: Postmark is one of the first transactional email services I encountered, many years ago. To this day it's still one of the simplest, nicest, and most intuitive options on the market. I love their focus on simplicity and reliability. Cons: It's definitely not as cheap as some competitors who have larger free tiers only one hundred free emails a month is definitely on the lower end. 3: The ability to open and download a sent email into a zipfile. Cons: 1: If an email hard bounces it will deactivate all other emails being sent to this address, and there is no easy way to receive alerts on that. 2: The system bases the sending of emails not in the time zone the user received it. With regards to bounces, deactivating delivery to that address is key to ensuring great delivery. Repeated sends to an invalid address is a signal that the sender could be spamming, and it could hurt overall delivery. For alerts, we recently launched a Slack bot that can send you bounce notifications. We're exploring other options to make this easier, but in general, we encourage bounce integration within your application to proactively help users fix delivery issues. On the second issue, we use UTC in the activity feed for consistency. With recipients in different time zones, it would be difficult to have a chronologic activity stream. I'll share this with the team, though. Comments: we use postmark to send out our transactional email. the ruby gem made this a breeze and we take advantage of the features to track our email with ease.